This is a recipe I found in Cooking Light magazine. 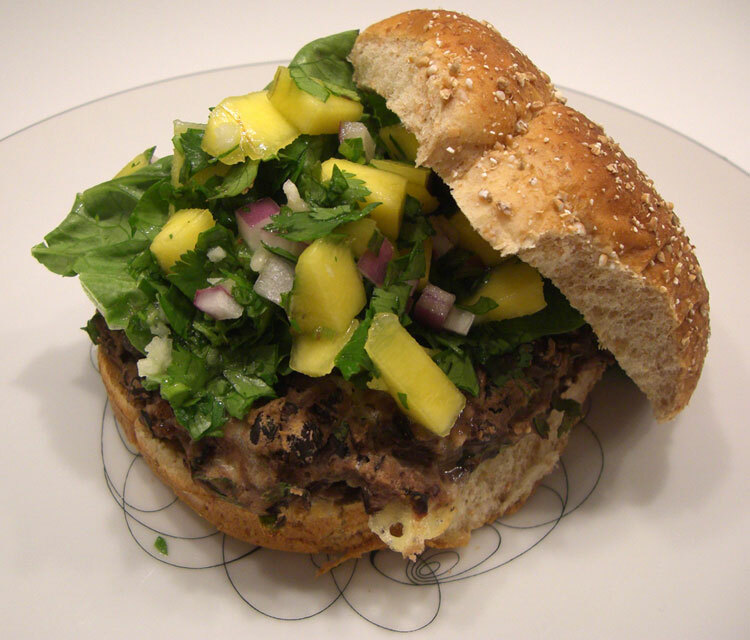 I served with a mango salsa (mango, cilantro, red onion, lime, garlic), but just as good served with traditional toppings - lettuce, onion, and ketchup. Mash black beans with a fork in a medium bowl. Stir in remaining ingredients. Shape mixture into 6 (1/2 inch thick) patties – you can use your hands or scoop out and form with a spoon. Arrange on baking sheet (lined with parchment paper for easier clean up). Bake at 350 for 20 minutes, turning once. Serve on a whole wheat bun with your favorite toppings.